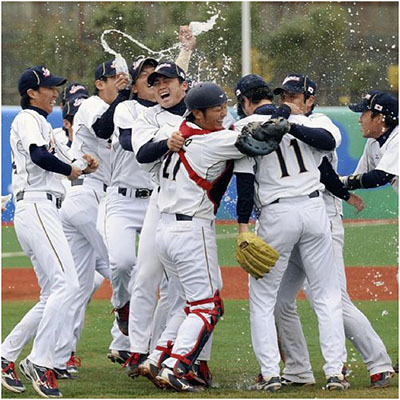 Team Japan has won the 6th East Asian Games in at Tianjin Sports Center Baseball in a Gold Medal Game against Team Korea 4-2 on Monday, October 14, 2013. Team Chinese Taipei shut out China 4-0 to win Bronze Medal. Seven national teams competed in the tournament which started from October 6, 2013.